Zaniac School Break camps are fun and inspiring! School Break camps are the perfect combination of learning and fun. 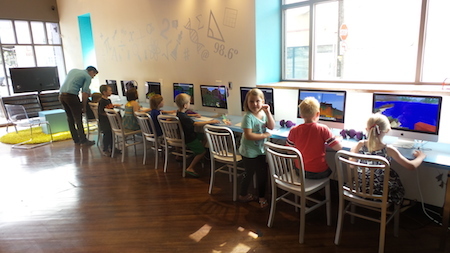 Featuring many engaging programs to nurture your K–8 child’s love of math and technology. Zaniac is open most days your child’s school is on recess, including teacher planning days. Single day camps are available with half-day (morning or afternoon) and full-day options. Week-long camps are available over Holiday Break, Winter Break, and Spring Break. Who says you can’t learn while you play? Spring Break Camps Now Enrolling!